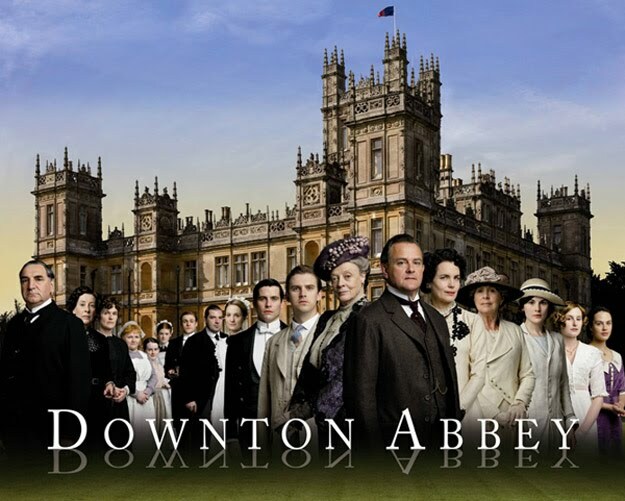 The main UK commercial TV station, ITV, is currently in the midst of a major weekly costume drama series, Downton Abbey, set in the England of a hundred years ago. In this week’s episode the upper-class family who live in the big house, after the death of the heir in the Titanic disaster, are struggling with the fact that the new heir to the property, a rather distant relative, seems be insufferably upper-middle class. Not quite one of us. The chap prefers to dress himself instead of using the services of his valet! Doesn’t hunt! Clearly a bounder. Without exception the actors pronounce Perseus as ˈpɜːsiəs and Cepheus as ˈsiːfiəs. I can’t help feeling that this is wrong for the period. Even when I did classics at school half a century later they were without hesitation ˈpɜːsjuːs and ˈsiːfjuːs. The same applies to all other Greek names in -ευς -eus: Zeus, Theseus, Aegeus. Historically, I think, this is because this ending was monosyllabic in Greek, with a diphthong, rather than a disyllabic with a vowel sequence. To compose Greek verse (as we did at school) it is extremely important to know the exact number of syllables in every word, so you had to get this right. Today’s actors, for all their other undoubted skills in reproducing the upper-class speech of a century ago, never had to compose Greek verse and do not know this; and no one has told them. Footnote: in Greek, Perseus appears not only as Περσεύς (two syllables) but also as Περσέας Perséas (three syllables). I don’t know why English chose the former variant as the source of the name; but in any case it’s irrelevant to the mores of the upper class in 1912. On the last point, I suspect it is because the Latin form was Perseus, so it was the Romans that chose it, not the English. A lot of our Greek is filtered through the medium of Latin, and in particular Greek names are stressed as though they were Latin. As a child, I knew only the three-syllable form in names like The-se-us until I discovered Daniel Jones's dictionary (at secondary school) and started correcting my pronunciation. Thes-eus still feels affected and I probably vary my pronunciation depending on who I'm talking to. In choir we once had to sing a piece that mentioned, I think, Timotheus, and although it was clearly set as three syllables the conductor had us alter the rhythm to accommodate the four syllables that he clearly thought had to be there! I studied Greek in the fifties in a school that was posh, but not very posh. It wasn't a boarding school and there was a mix of accents — generally near-RP or lightly modified RP. One of my Greek teachers was Scottish. From that time I retain a ju:s (stressed) pronunciations of Zeus and a jʊs (unstressed) in Theseus and Perseus. At least I think that's how I used to pronounce those last two. To my shame, I've forgotten who Cepheus was — if I ever knew. My first instinct is to stress both syllables and so say ju:s. For some reason I tend to pronounce Aegaeus with jʌs. Retrospective introspection is fiendishly difficult. Returning to what I wrote above, I find myself remembering differently. I may well have said ˈpɜːsjuːs fifty years ago. I might even say it now occasionally. So what is the usual pronunciation of Zeus among people who don't say /zju:s/? I make it /zus/ myself, but I'd expect to hear /ʒu:s/ among non-yod-droppers. I find ˈpɜːsiəs and ˈsiːfiəs unbearable in this generation, never mind that one, but very few discussions of Greek mythology over the dinner table or anywhere else feature recognizable pronunciations of the names these days. Graham Pointon and others are always complaining about this too, somewhere recently someone posted a link to a recommended reconstruction of Classical Greek pronunciation. I can't find it anyway, and what I remember as making it not worth finding was that although it was up to speed on ɛː for η, eː for ει, etc. it gave juː for ευ and ηυ. I think there has always been some idea that ɛuːor ɛːu is just too "difficult" for English speakers to pronounce. Even though my generation was probably expected to make more of a stab at the 'new' reconstructed pronunciation in both Greek and Latin than what John has described on here before now of his slightly earlier introduction to it, eu was somehow immune in both languages, and even the master who was most fanatical about the new pronunciation said juː for both. I suspect there was a feeling abroad that it was too uncouth a sound, reminiscent of Cockney or something! I'm not suggesting that ɛu would have been any less of an anachronism for dinner-table conversations anywhere but at a High Table full of modernizing Classicists, but at least it wouldn't have been illiterate and unscannable! And for all that has been going on in Greece since they said ɛu, at least the modern pɛrˈsɛfs and ciˈfɛfs, however unrecognizable, still scan. @John Cowan: I think even among English yod-coalescers, the progressive form would be /zu:s/, not /ʒu:s/. cf. "suit", which has /sj/ in U-RP, and simple /s/ in regular RP. Never heard ˈziəs or ˈzeɪəs, either of which could be said to be analogous with ˈpɜːsiəs and ˈsiːfiəs? Now if anyone says ˈde.ʊs eks ˈmɑːkɪnɑː, as you may depend people do, they may well say anything on a spectrum between ˈze.ʊs and zɛʊs, at which point we would be back to square one. In my classical education (1960s grammar school and Oxford), pɜːsjəs and θiːsjəs, with reduced final syllables, as words of English. Pronouncing Greek, though, βασιλευς with -juːs. Danish (at least my increasingly dated idiolect) has /-œʊs/. I think there are two issues here: the use of reconstructed vs. anglicized pronunciation, and the use of the "correct" anglicized pronunciation. I'm all for retaining the use of anglicized pronunciation (outside of the Latin/Greek classroom, where I think reconstructed pronunciation makes more sense). "Eumenidum veluti demens videt agmina Pentheus." Virg. Poenaque respectus, et nunc manet Orpheus in te." The best rule, hterefore, that can be given to an English reader is, to pronounce words of this termination always with the vowels separated, except an English poet, in imitation of the Greeks, should preserve the diphthong; but, in the present word, I should prefer I-dom'e-neus to I-dom-e-ne'us, whether in verse or prose. Great find @Stephen! With Idomeneus, if -eus were treated as two syllables with the penultimate short, the logical pronunciation would be aɪ.dəˈmiːni.əs, but that would be horrible! I thought it was also notable that at least one supposedly upper-class person pronounced 'valet' without the t, and another, or possibly the same person, said 'room' with a long 'oo'. I'm sure Julian Fellowes knows the correct pronunciations; perhaps he was not able to give enough guidance during the filming. I found that, as expected, their speech was basically today's not too progressive RP with many overly correct features - adoptive RP, to use your term -, some slips, and none that would be typical of either U-RP or pre-WWII RP in general, with some exceptions for the two mothers. From the other side of the register and accent spectrum, the servants were probably too close to RP. Regarding the footnote at the bottom of the post, Περσεύς is the only Ancient Greek form. Περσέας is a Modern Greek form, and it wasn't around for Latin to borrow during the classical period of the language.